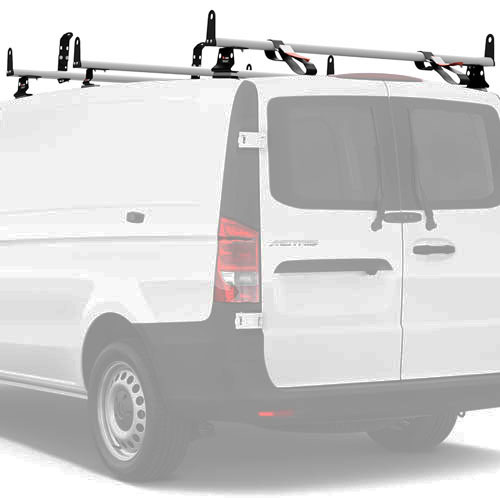 The Vantech J2553 Aluminum 3 Bar 55" Mercedes Metris Aerodynamic Utility Ladder Rack with Side Stops is specifically designed for the 2016+ Mercedes Metris. 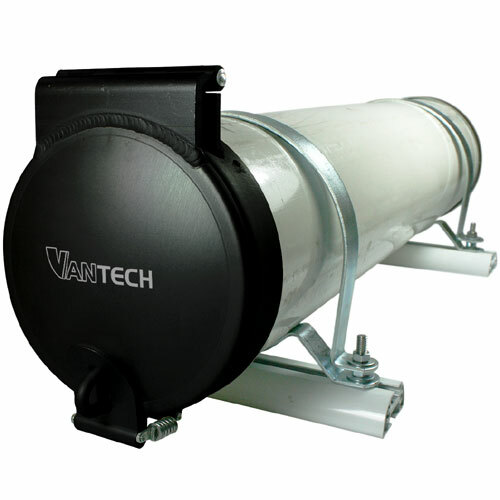 It's aerodynamically designed for fuel efficiency and to help minimize wind noise. 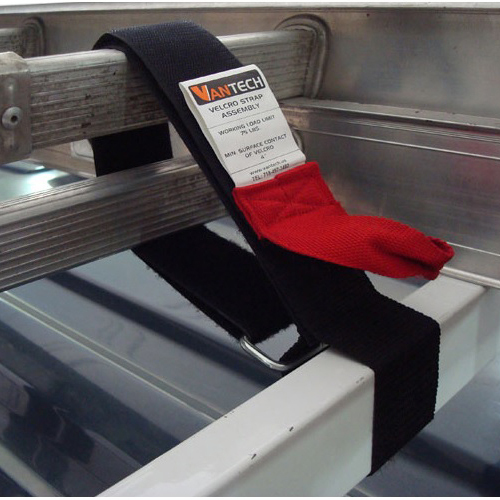 The rack is bolted to the factory installed fixed mounting points on the roof of the Mercedes Metris. The maximum load capacity is 750 lbs - evenly distributed. 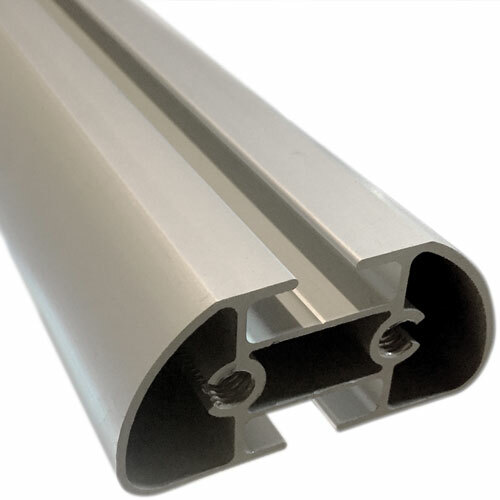 The aerodynamic, oblong shaped reinforced aluminum cross bars have built-in channels top and bottom for mounting optional accessories. 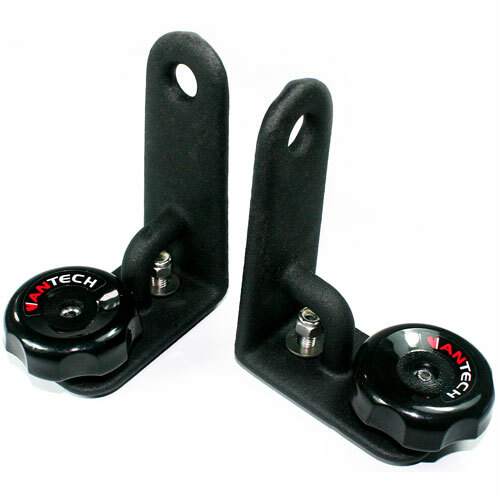 The mounting bases are 2.75" wide and approximately 1/8" thick at the base and fasten into the slot on the bottom of the cross bars. 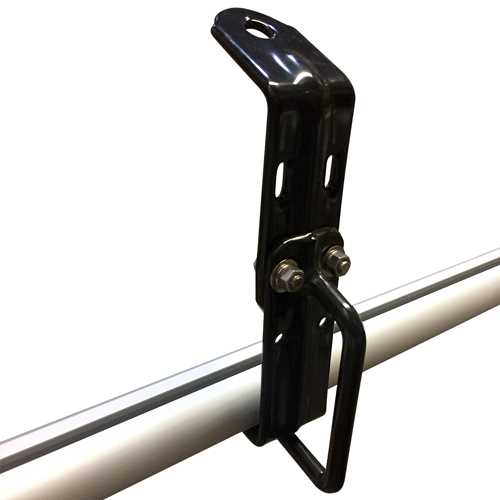 The side supports are 4" tall with eye hooks to stabilize and tie loads. 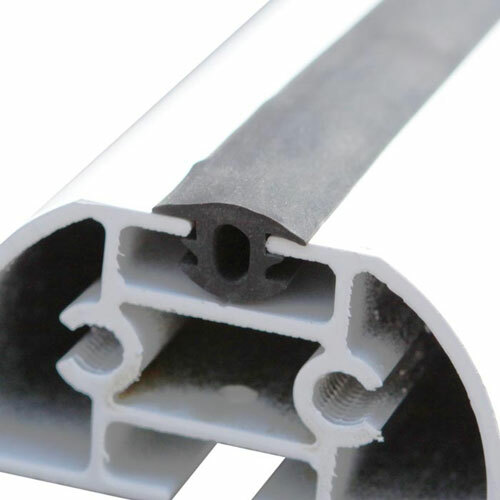 The cross bars are protected using included rubber bar guards that insert into the top channel. 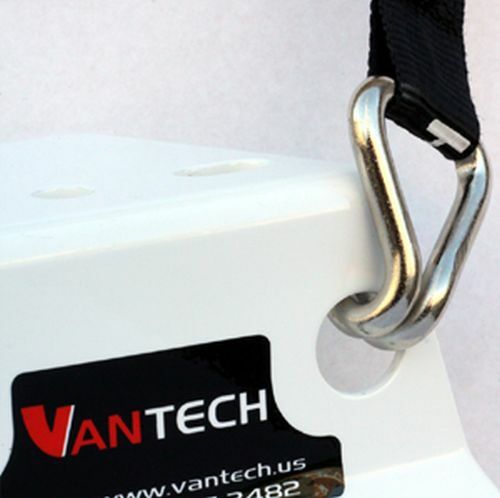 This system includes two Ladder Stoppers adjustable from 4"- 6" in height and two EZ Velcro Straps to help secure up to 75 lbs of ladders when used in combination with ladder stoppers or guides. 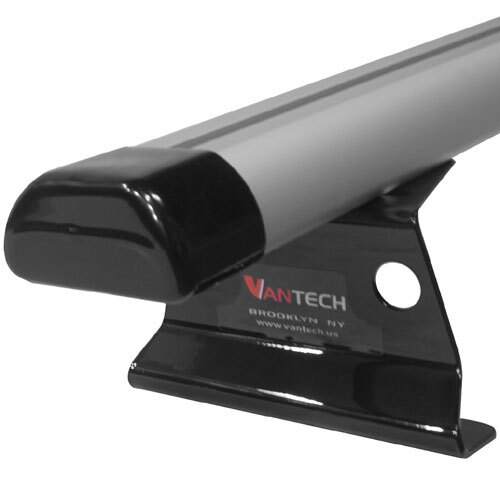 The Vantech J2553 Mercedes Metris racks are available in anodized black, powder coated silver, or powder coated white. Please select your preferred color from the drop-down list.